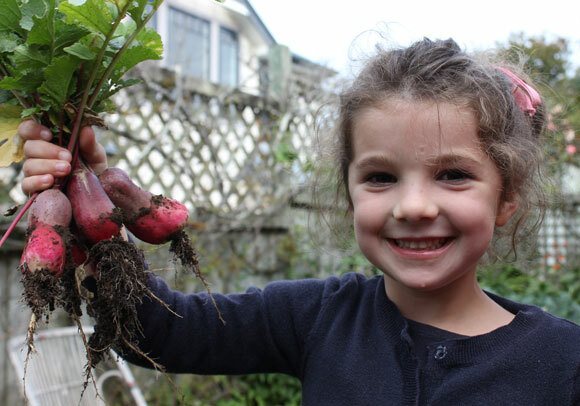 Growing your own fruit, herbs and vegetables ensures that they’ll be at their very best when it comes to eating them moments after they have been picked or dug up. 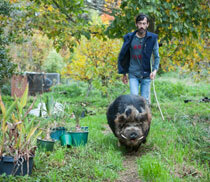 Flavour, texture and nutritional value are all at their peak when produce is fresh-picked or harvested. Generally it works out that you can leave your food plants growing until you need to take produce from them – this guarantees that all-important freshness. Knowing how much you will need for any one meal prevents any waste and allows you to plan what you’ll do with your harvest. 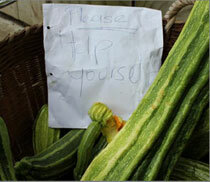 There are many vegetables – like carrots, beetroot, leeks and parsnips that store well in the ground. Others such as pumpkins and potatoes can be stored for months indoors with the right handling. Apples, garlic and onions too have a good ‘shelf life’. Some harvests are a more of a glut and a time for feasting – grapes, avocados, feijoas and asparagus are all delicious fresh. However, with the right recipes even these fresh treats can be transformed into a resourceful long- term food store by freezing, preserving and pickling. 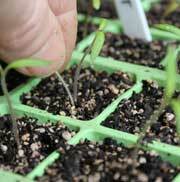 The most important thing of all is knowing when plants and produce are ready and how best to harvest them. 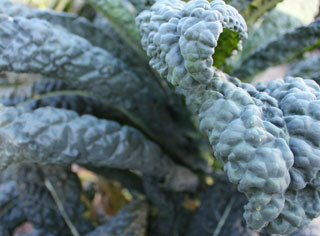 Cavolo Nero or Palm Tree Cabbage is in fact a type of Kale and it is an incredibly worthwhile plant to grow. Leaves are produced up the sides of a central stem that grows slowly upwards producing more and more crinkled dark green foliage as it goes. To harvest simply start with the bottom-most sets of leaves and pull them sharply downwards so they snap off at the stem. Always leave about 6 to 10 inches of stem at the top fully clad in leaves so plants can stay vigorous and healthy. Plants will often remain productive for up to 6 months and the stems can get really long (and sometimes fall over). 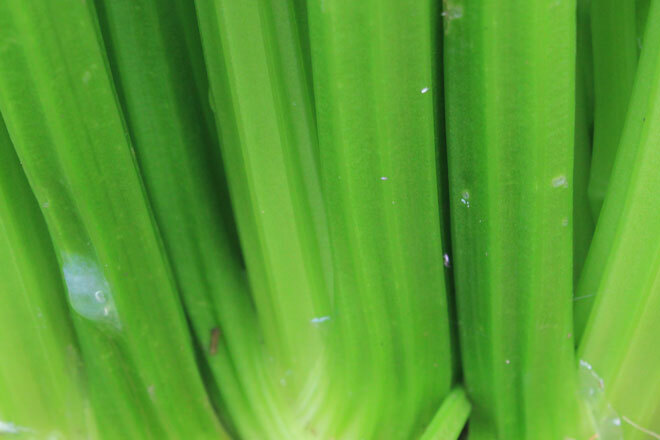 Growing to upwards of six feet, the tough, fibrous stems are sometimes used as walking sticks! 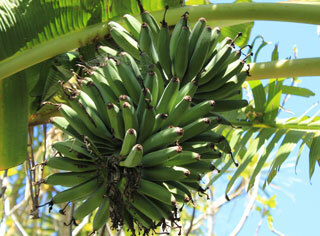 In warmer areas, large - and heavy - bunches of bananas are ripening around now. They are ready when the bananas have visibly swelled but are still green. 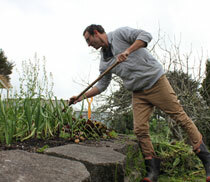 Watch out as you bring them down by cutting the whole stem away from the main plant with some loppers. You might like to get someone to help by taking the weight of the bunch as it is cut free. Bananas can then be ripened to sweet perfection indoors in a warm dry place. The size your beans are when you pick them is really a matter of taste. To eat the pod and beans inside pick at around finger size. 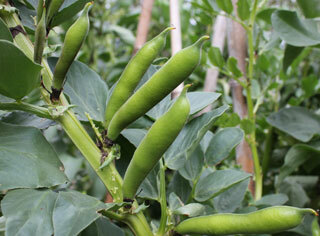 Let the pods get a little bit bigger and then pop the pod to eat juicy young beans. If you are going to cook your beans for dips, salads etc. 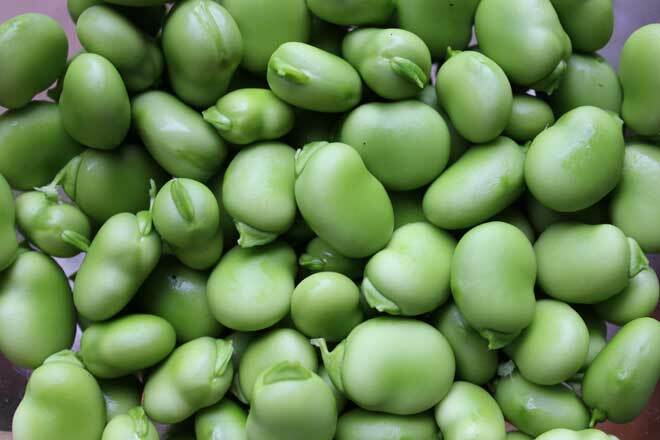 - where the beans are blanched and the skins removed -then you’ll probably need to wait until your pods are thicker than your thumb with beany shapes along their length. Best not to let your pods get too large or the juicy sweetness of the beans will be replaced by a flat starchy flavour.